I don’t know about all of you (although I can take a guess), but my family loves raw cookie dough so much that when we buy the package at our local super market, half the product does not make it on to the cookie sheet. And yes, we’ve all heard of the dangers of getting salmonella by eating raw cookie dough, but does anyone ever really listen to that? Well, luckily for us cookie dough lovers, there’s a new product in town that will let us enjoy all the raw cookie dough we desire, without the worries. 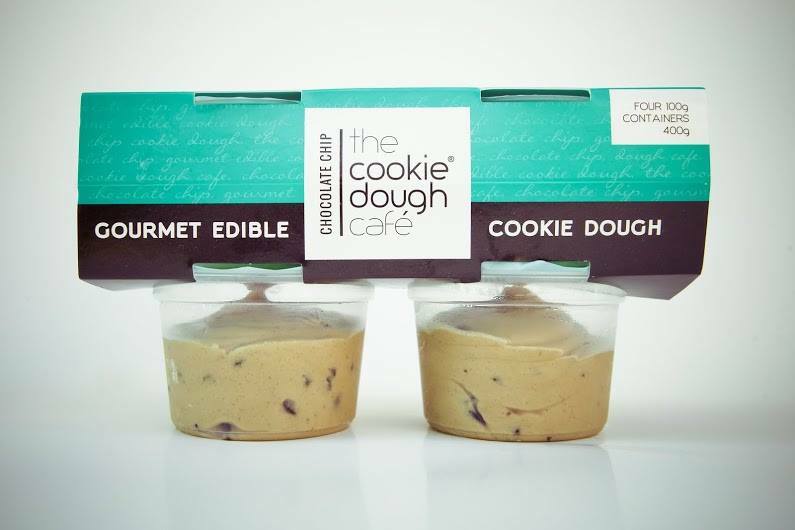 The Cookie Dough Café has created a delicious cookie dough product that can be eaten like ice cream but contains no raw eggs, it is actually meant to be eaten raw right out of the cookie jar, not cooked. What??? 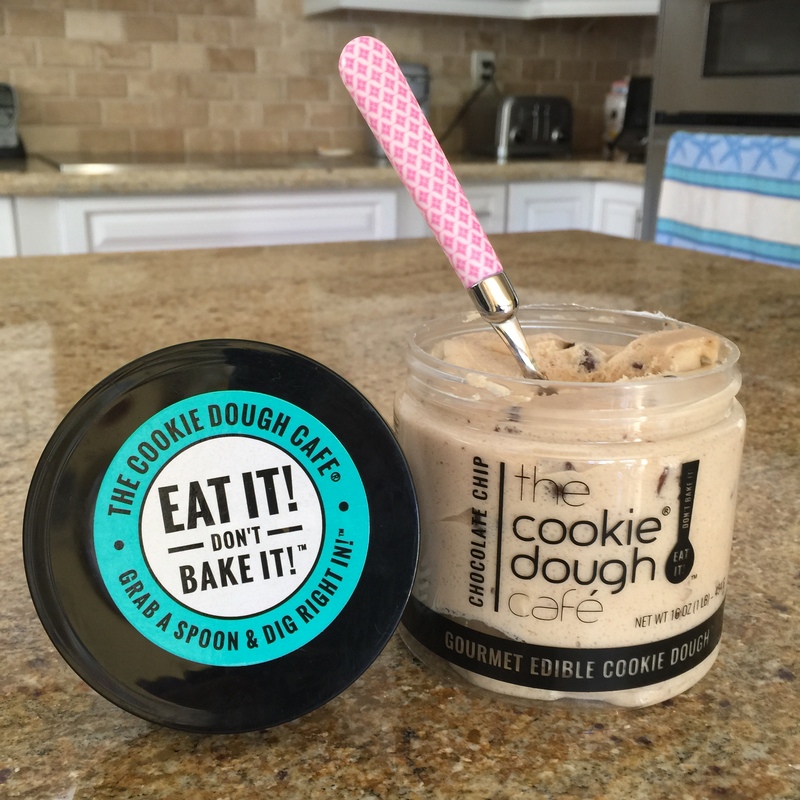 Yes, sister entrepreneurs Joan Pacetti and Julia Schmid have created what we’ve all been dreaming of since childhood…edible cookie dough. The product was featured on Shark Tank (hubby loves watching this show) and its success led the products to be sold through many dining locations, select grocery stores, and online. Oh yeah, and it comes in 4 different flavors. Chocolate Chip, Cookies & Cream, Monster (natural peanut butter and oats loaded with chocolate chips and M&Ms) and last but certainly not last, Naked Dough, for the non-chocolate lovers (I’ve never met one but OK). 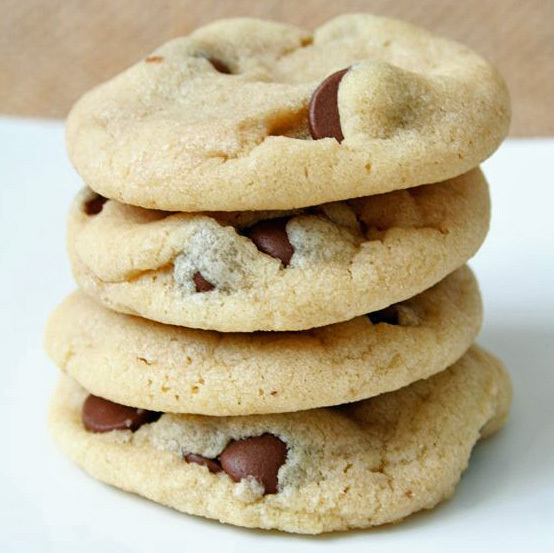 They also offer 3 gluten-free flavors, Peanut Butter, Creamy Oatmeal Raisin and Chocolate Chip. You can purchase it in pint size and keep it refrigerated or you can also buy the single serve cookie dough cups, that come in a pack of 4 (these are great for a lunchbox treat on special days). Pack of 4 single serving cups. 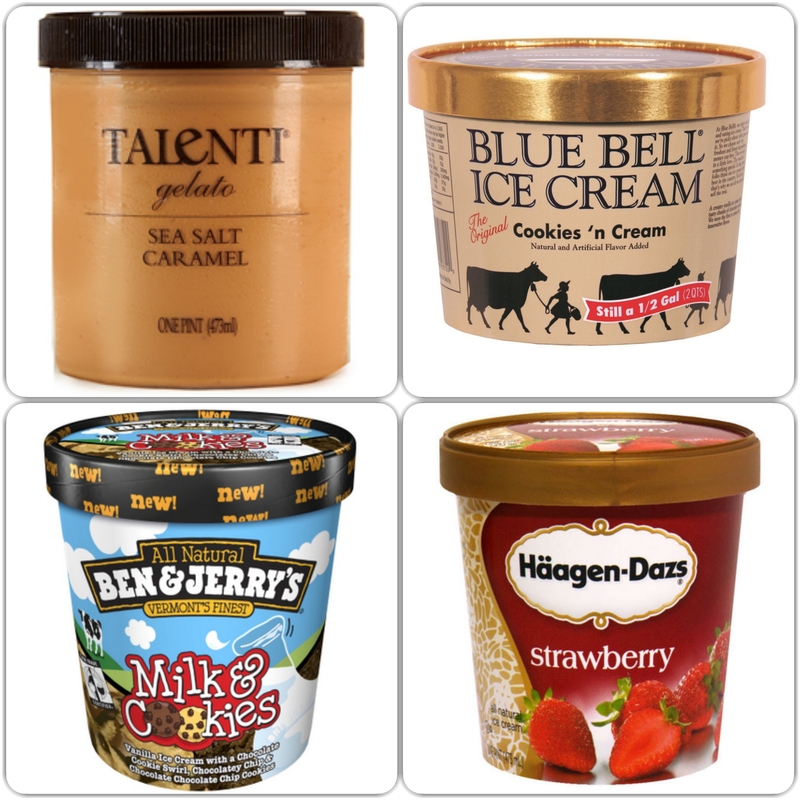 To find other product locations, or to check out other cookie dough flavors, visit the Cookie Dough Cafe website at www.thecookiedoughcafe.com. Having Your Cake and Eating It Too? 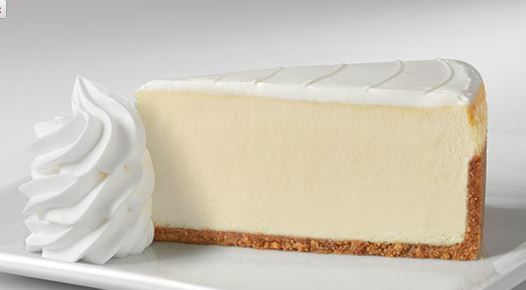 October 14 celebrates my favorite part of a meal….it is National Dessert Day, and who doesn’t love dessert (well most of us do anyway)? For just one day, forget about the calories and high fat content, tomorrow you can go back to your healthy ways. And if you’re one of those people who leaves some food on the plate, because you need to save room for dessert, then today is your holiday! In honor of this yummy day, here are a few of my favorite recipes from where else…Pinterest (yes I am a Pinterest addict). 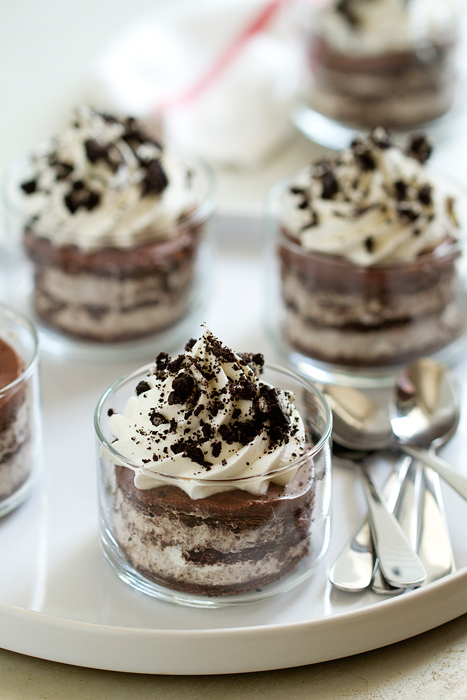 I’ve only tried making a few of these, but they all look delicious! 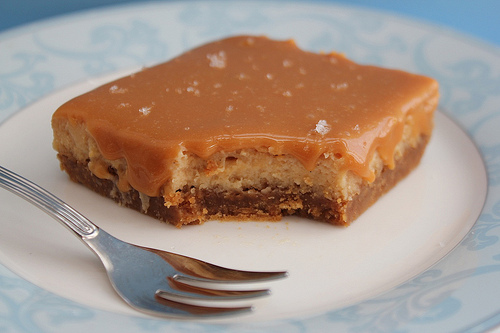 Salted Caramel Dulce de Leche Cheesecake Bars, recipe here. 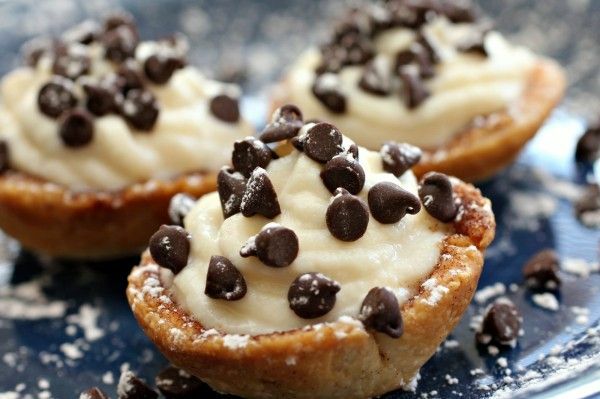 Mini Cannoli Cream Cups, recipe here. 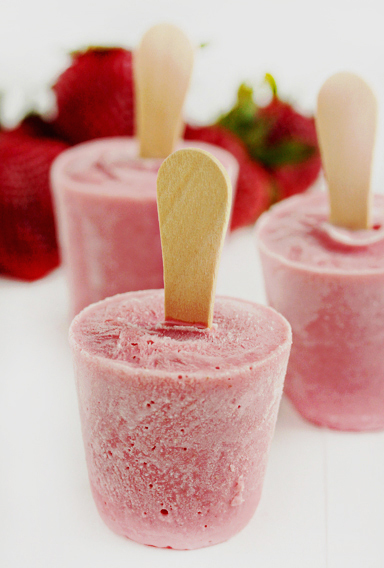 Strawberry Ricotta Popsicle, recipe here. 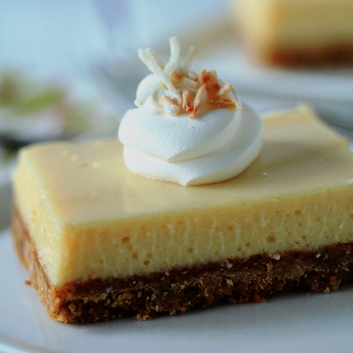 Key Lime Pie Bars, recipe here. 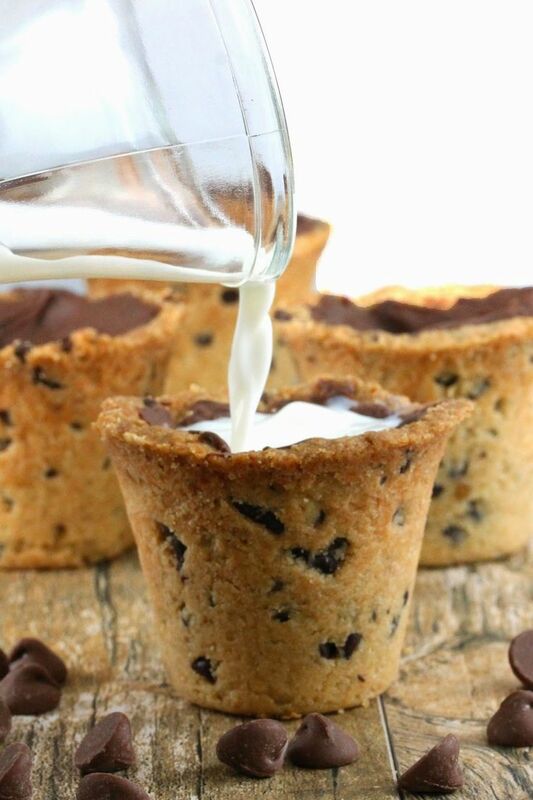 Chocolate Chip Cookie Shots, recipe here. 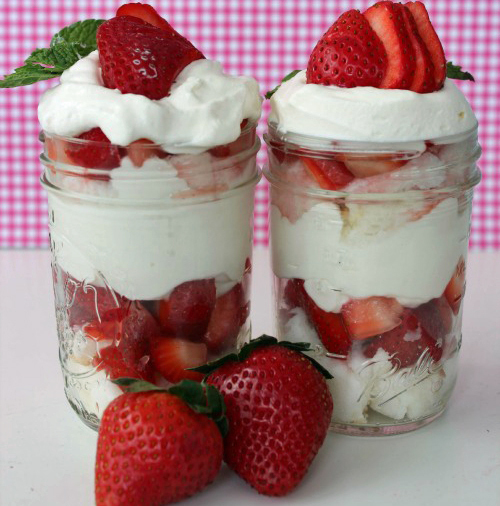 Mason Jar Strawberry Shortcake, recipe here. 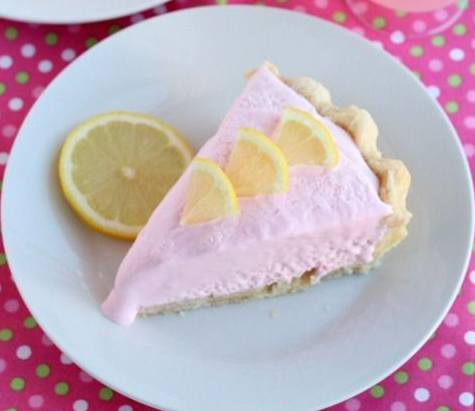 Frozen Pink Lemonade Pie, recipe here. Chocolate Chip Cookies, recipe here. 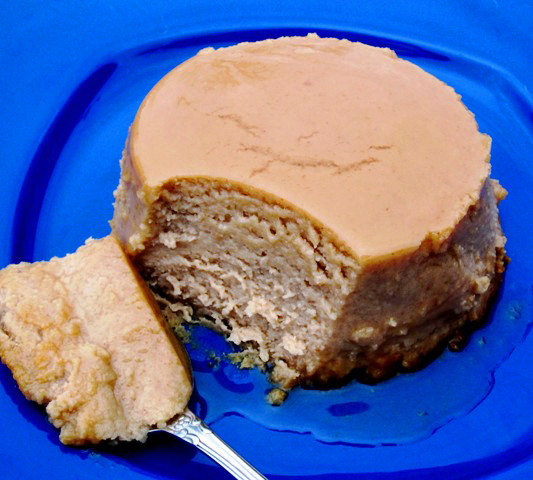 Guava and Cheese Flan, recipe here. Cookies and Cream Cake, recipe here. 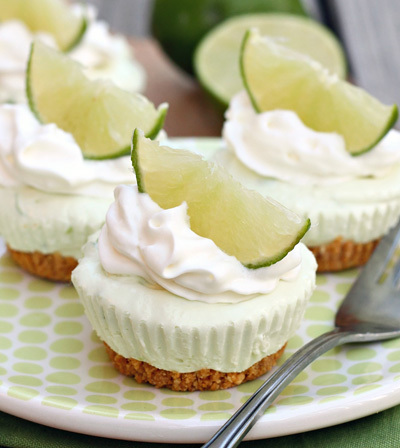 Mini Key Lime Cheesecakes, recipe here. 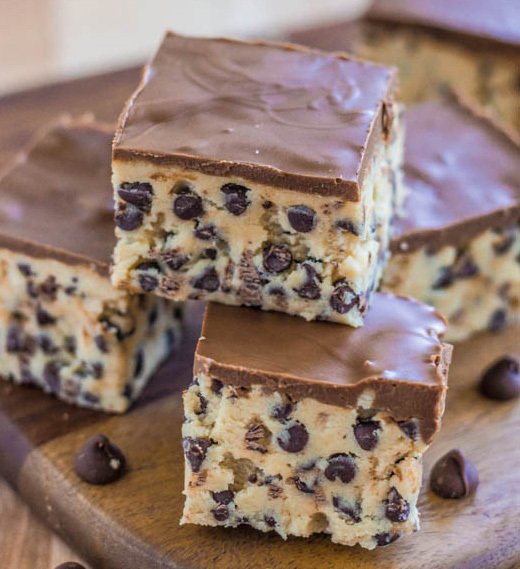 Chocolate Chip Cookie Dough Bars, recipe here. La Lechera Brand Sweetened Condensed Milk in a squeezable bottle! Great to pour on almost anything! 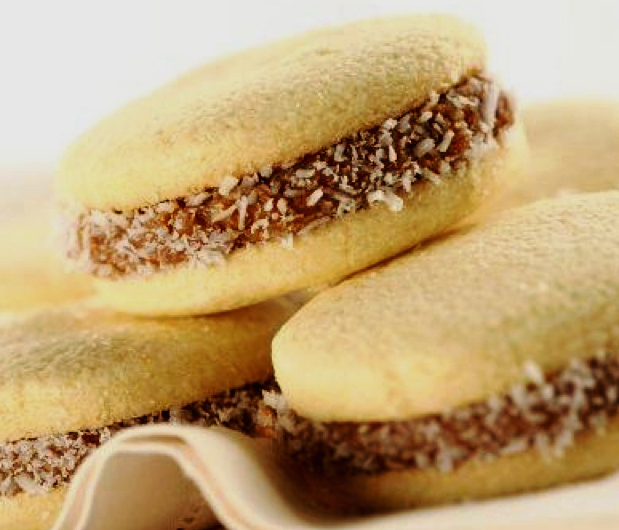 What are some of your favorite desserts? Will you be having any of them today?